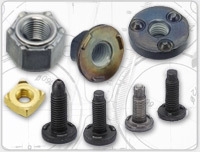 We manufacture and supply high-volume custom components and assemblies for OEM's in the Automotive, Heavy Truck, Medical Equipment, Lawn and Garden, Appliance, Aerospace, Electronics and Consumer Products industries. 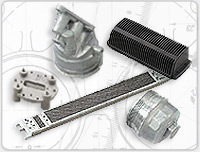 We offer a full array of technical support in order to assist in the design, development, production and supply of custom cold headed, cast, stamped, machined and injection molded components and assemblies. We can manufacture products in carbon steel, alloy steel, stainless steel, aluminum, brass, copper, zinc, plastic and rubber. We have facilities strategically located throughout the United States, Canada, Mexico, Taiwan and China to support your requirements.